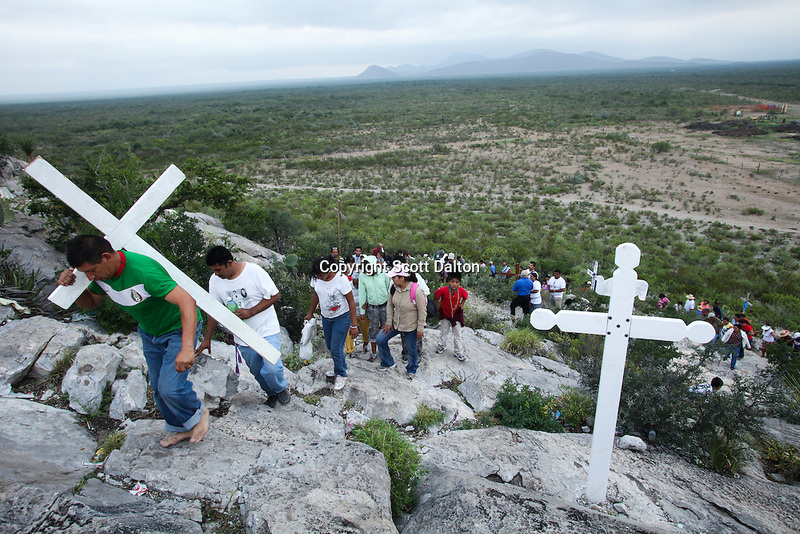 Followers of Nino Fidencio, a curandero or healer who passed away in the 1938, carry crosses to an early morning prayer and healing session on top of a hill just outside of Espinazo, Mexico on October 16, 2009. Followers of Nino Fidencio believe that his spirit can posses other healers, who once possessed speak in a child like voice and perform a variety of medical cures on their followers. His believers, an estimated 20,000, gather in his hometown for a three-day festival twice a year in March and October. (Photo/Scott Dalton).